Govan’s brigade continues its way back toward Confederate lines. Breckinridge orders a section of Cobb’s Battery north to reinforce Forrest’s artillery. In Kelly Field Barnes’ brigade reunites, and moves to deploy between Dodge’s brigade and J. King’s Regular Brigade. 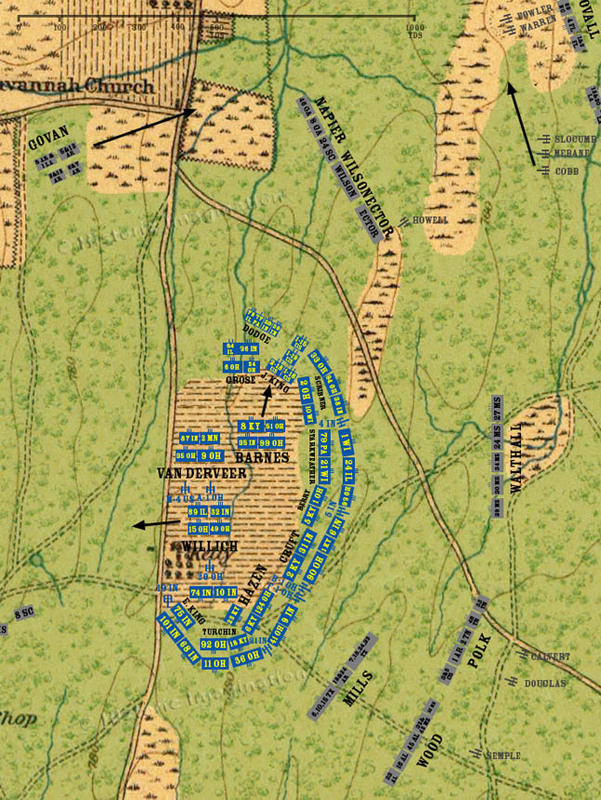 Willich moves his brigade southwest to extend the Union salient toward Snodgrass Hill and try to cover some of the gap between the two Union forces.